Jordan has granted the UN refugee agency permission to drop aid over the border into the Rukban camp in southern Syria. The desert camp, which houses approximately 40,000 people, has not been provided with aid for the last six months and conditions are dire. 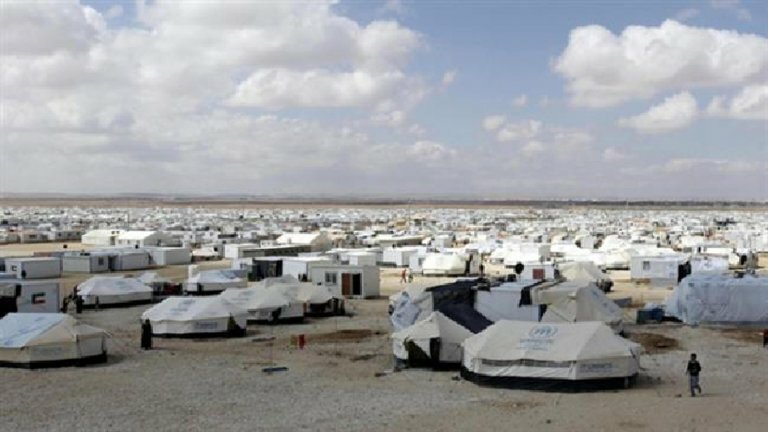 The UN refugee agency UNHCR in Jordan will resume aid delivery within the next 48 hours to internally displaced persons (IDPs) in the Rukban desert camp in Syria along the Jordanian border, opposition forces said on Sunday. Following talks with top UN officials who urged a resumption of aid delivery after a six-month ban, Jordan agreed to allow the organization access to Syrian territories from its northeastern border. Jordan will not actually open its borders with Syria but will instead allow UNHCR staff to "drop aid items using cranes" over the fence that separates the two countries. In mid-2016, Jordan decided to permanently close the border with Syria, claiming that Syrian government troops had secured the roads leading to the Rukban camp, which is the largest in southern Syria and home to over 40,000 Syrians who live in extremely difficult conditions. Jordan's decision to close its border was met with condemnation from Syrian opposition groups and IDPs, who accused the kingdom of helping impose a siege on the desert camp.